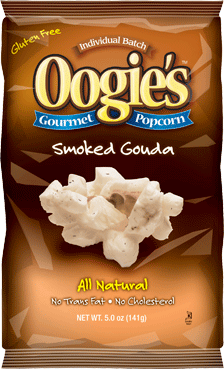 So far, I’m a fan of Oogie’s Gourmet Popcorn. The ever-so delicious Smoked Gouda **highly reccommended**, pretty yummy Movie Lover’s Buttered Popcorn, and also pretty good Hatch Chili Con Queso flavors. I was excited to try the White Cheddar. Then I just grew out of the bag a week White Cheddar popcorn phase. 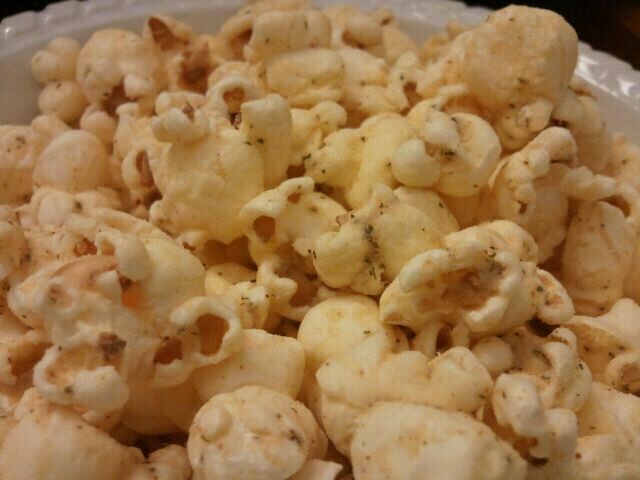 And then when I received Oogie’s Gourmet Popcorn White Cheddar for free to try in the mail, my love was rekindled. YES. 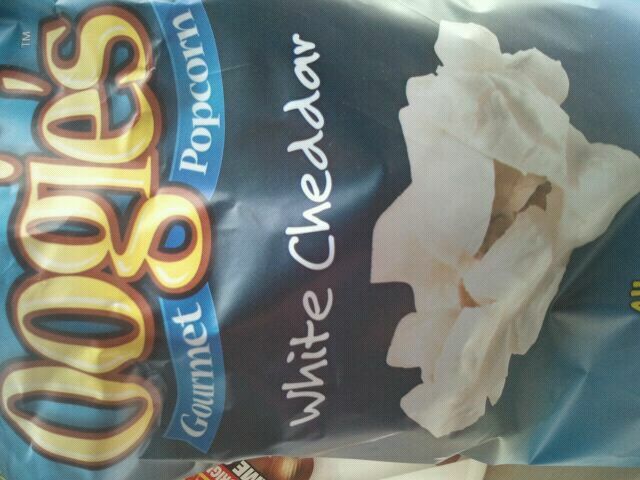 White Cheddar Popcorn we meet again!! So I opened the bag, and here’s how it looked. 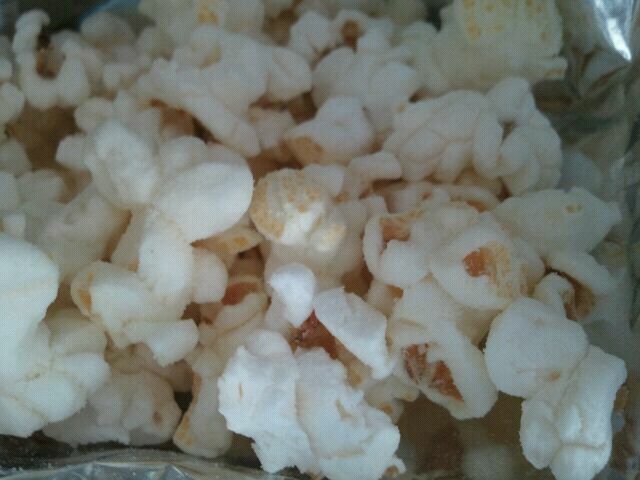 The popcorn itself was light and fluffy, with a great crunch. Just as popcorn should be. It left a slight residue on my hands, but not so much where I had to wipe my hands all over the couch cushions (KIDDING!). I wouldn’t say the flavor screamed White Cheddar , and in fact some pieces I questioned to myself what flavor was it exactly? 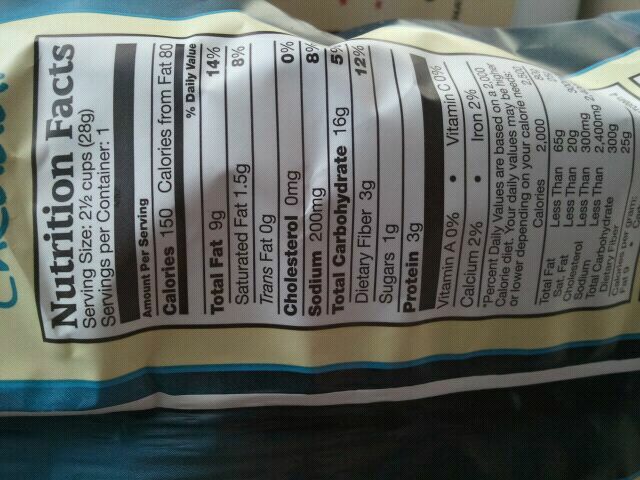 It wasn’t really salty, and had a mild cheese flavor. It also had a bit of a buttermilk flavor that reminded me of Ranch dressing. It was certainly a unique flavor, where some pieces were very flavorful, and others left rather bland. 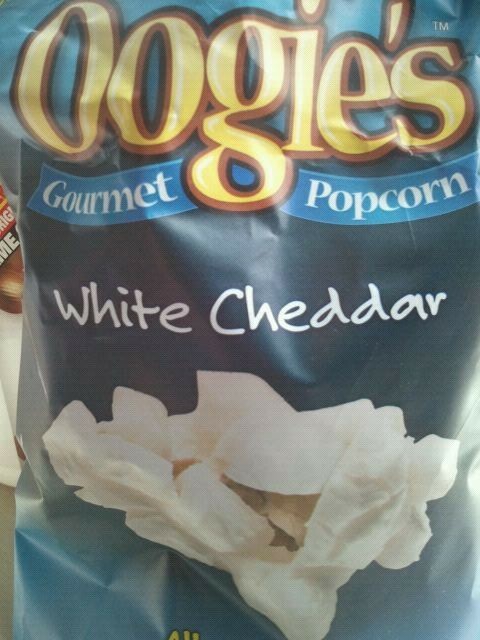 So does Oogie’s Gourmet Popcorn White Cheddar live up to my past of White Cheddar popcorn love affair? Now, I’m not a cheese kind of person. I could totally live my entire life without eating any, and I’m even known to pull the cheese off my pizza (sorry!). So I wasn’t expecting this popcorn to be anything special. Ok, ok. Smoked Gouda. Probably tastes like the rest of the popcorn I had in the past. I thought. Sure, it looks like your average, store bought popcorn. But it wasn’t. 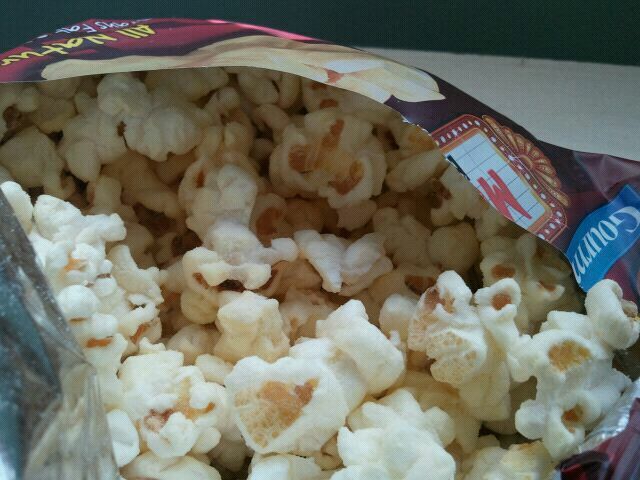 It was light, and crunchy, and fluffy popcorn. Fluffy might be a weird adjective to describe popcorn, mostly because I immediately asociate fluffy with pillows, but it was fluffy. And yummy. It was cheesy, light and had just a wee bit of heat/spice to it. 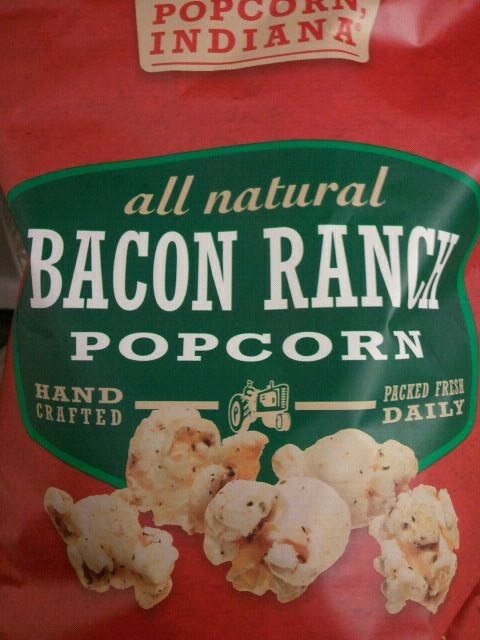 There was almost a (get ready for it) BACON flavor to it. I haven’t eaten bacon in years, but bacon is goood. 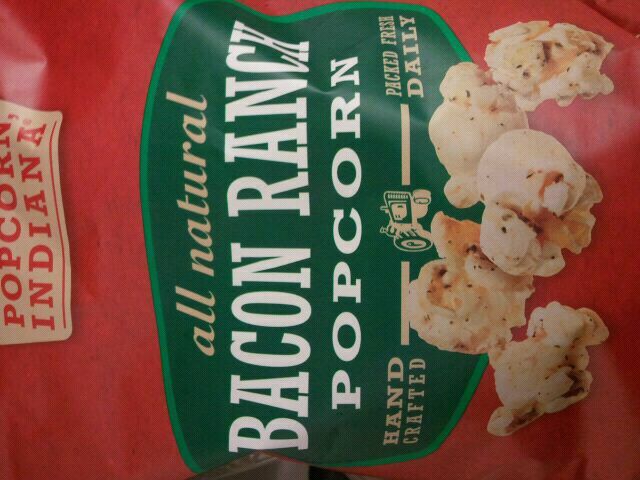 Turkey bacon always hit the spot for me, and this popcorn had flavors vvery similar to bacon. Perhaps it was the “smoked” aspect of the popcorn. Regardless, I’m going to roll with it. It was also a bit salty, but in a good way, and some other deeper flavors going on. I really, really liked this popcorn. And if I see it in the stores, I’m definitely buying it again. Minus the fact I already demolished the bad. So much for sharing. What about YOU- what’s your favorite type of cheese? If I had to pick, parmesan all the way! I received this bag of popcorn to try for free from the company. Regardless, my opinions are unaffected and genuine. 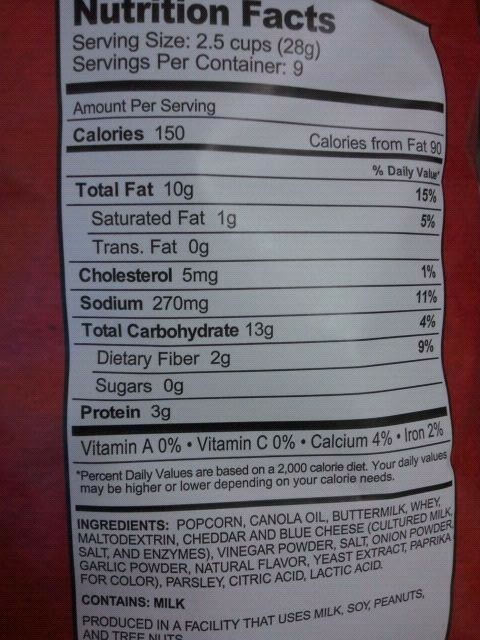 But the popcorn at movies can be loaded with calories and fat (and I’m just going to go out on a limb here and assume, it’s NOT the healthy fats!). 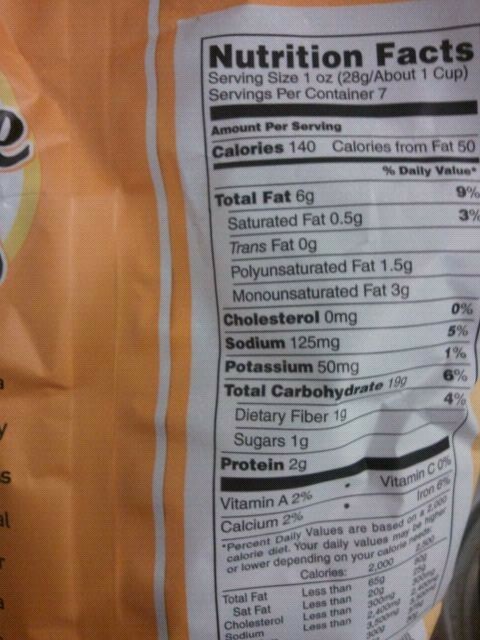 Plus, there can even be trans fats in some popcorns! 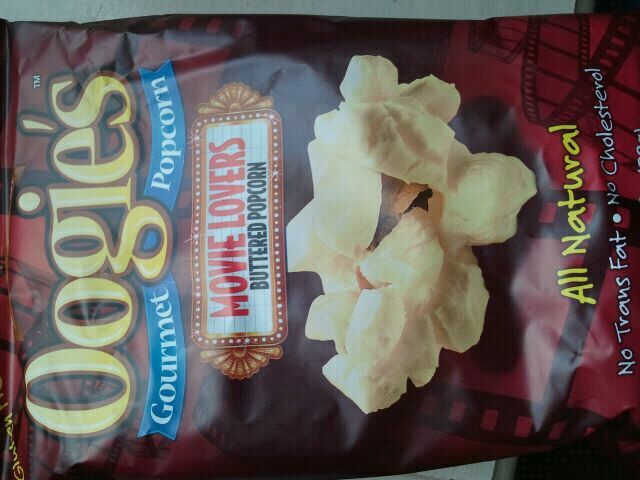 So I was excited when Oogie’s provided me this bag of Movie Lovers Buttered Popcorn for free. Now I could pop my own movie in at home, and eat a bag of yummy, buttery popcorn! 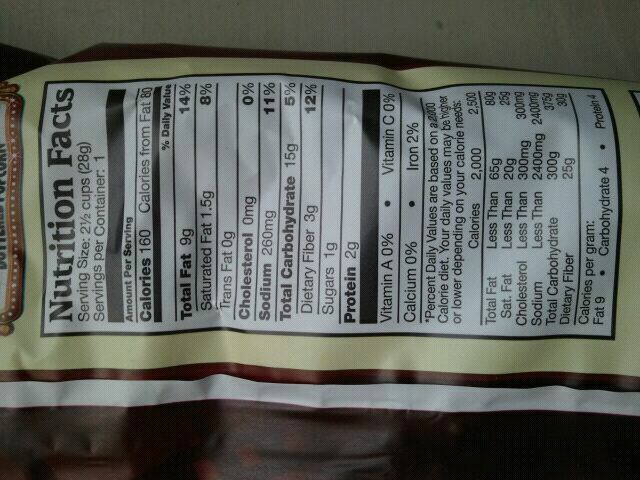 Some quick facts, according to the bag, this is all natural, gluten free, and whole grain. So, if I wasn’t already digging this popcorn, I was slowly liking it more and more! I was excited to try this popcorn. For some reason when I opened it, I was expecting a yellow colored popcorn, kind of like the buttery flavored drenched popcorn at the movies. However, it was a pale white which surprised me a bit. Some pieces had more flavor than others, which was a seasoning. I wouldn’t say it was super buttery, but more of a mild butter and even a flavor akin to parmesan cheese. Was it good? yes. Yummy? yes. 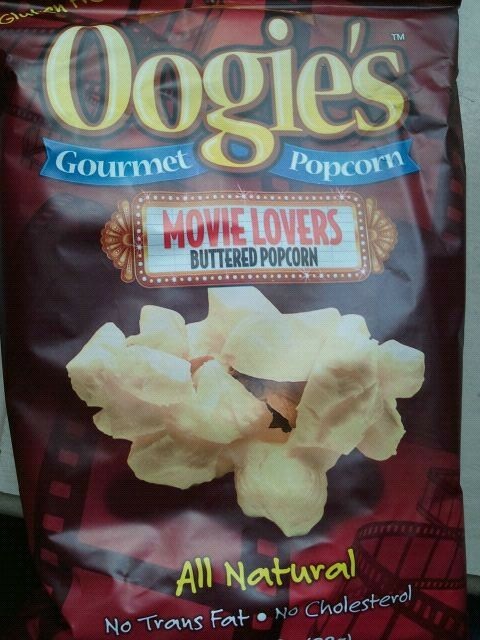 Suitable for those who drown their popcorn in butter at the movies? No… But that doesn’t mean it wasn’t delicious. 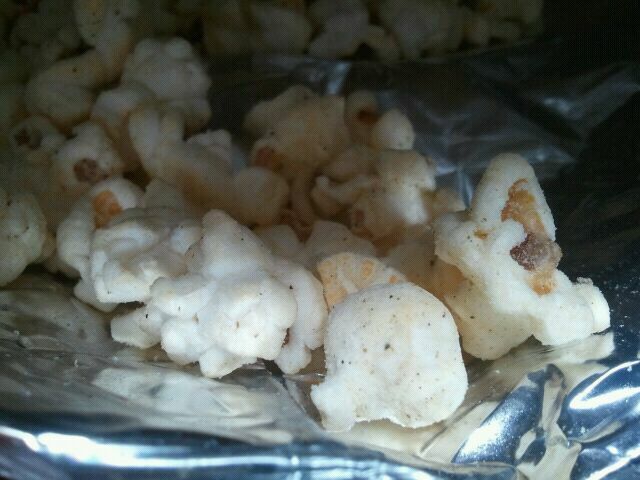 The pieces of popcorn were fresh and had a soft crunch. Like I said, some pieces were bland, and others had more seasoning on it. It was slightly salty, which made me crave a Zevia soda really badly (and let’s be honest…I was also craving a Diet Coke!!). 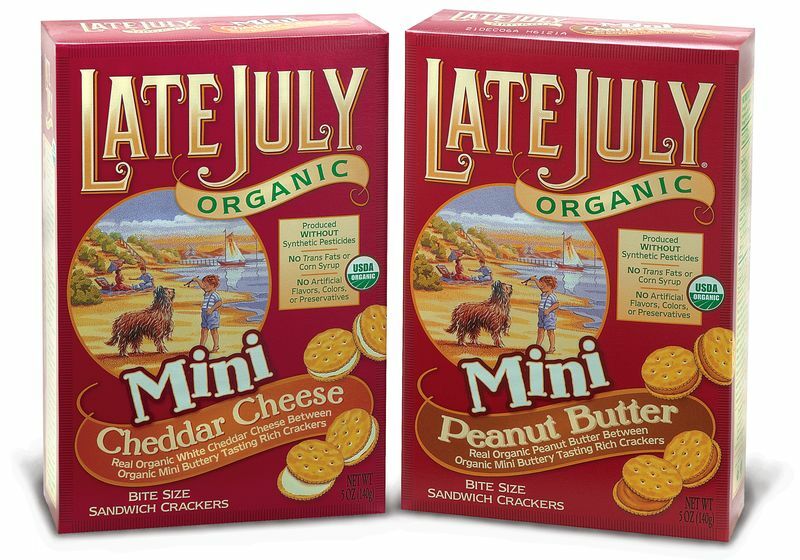 Overall, it was pretty good, but not as buttery as I would have liked. 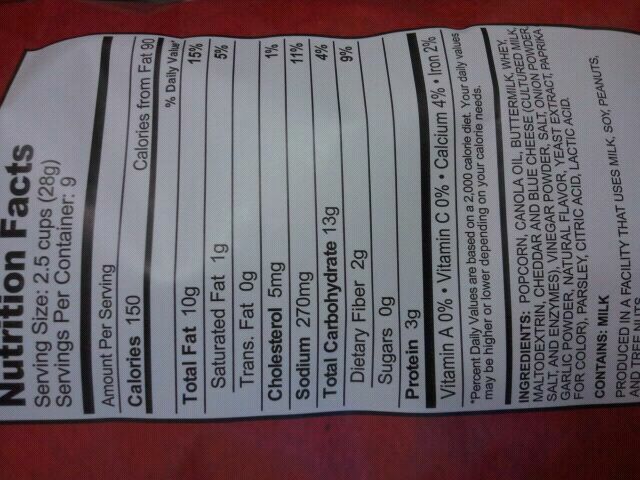 There was a good amount of popcorn in the bag, which made for a filling snack at 160 calories, and 3 grams of fiber. For me, it was a 3 1/2 star snack ! Are you a fan of pizza? And a fan of crunchy snacks? Well, you just might like these! 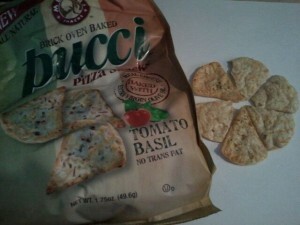 Medora Snacks makes Pucci Pizza Snacks, which according to the package, are “baked with real cheese” and “extra virgin olive oil”. 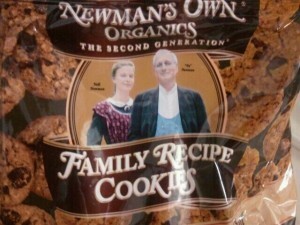 As well as having “no trans fat” and are “all natural”. 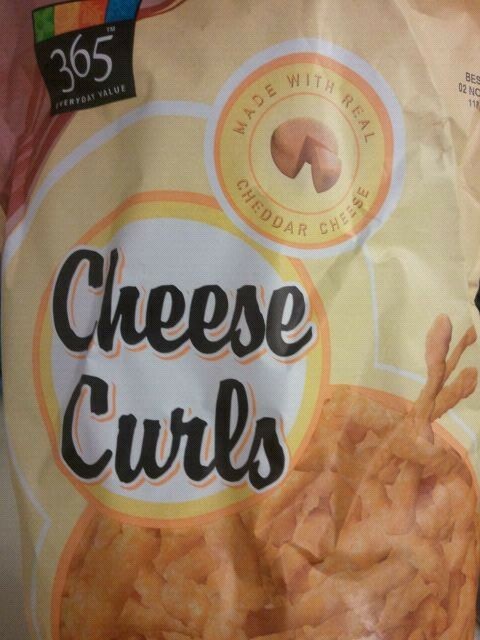 Sounds like a yummy snack to me! Then I tried a few. They were very crunchy and crispy, with a yummy cheesy flavor. They were a bit salty, and also had a slight tomato sauce flavor. I certainly detected the basil and other spices as well. They were kind of like a very crunchy rice cake, but with less of an airy texture, or like a soy crisp but slightly more dense. Unique, indeed! 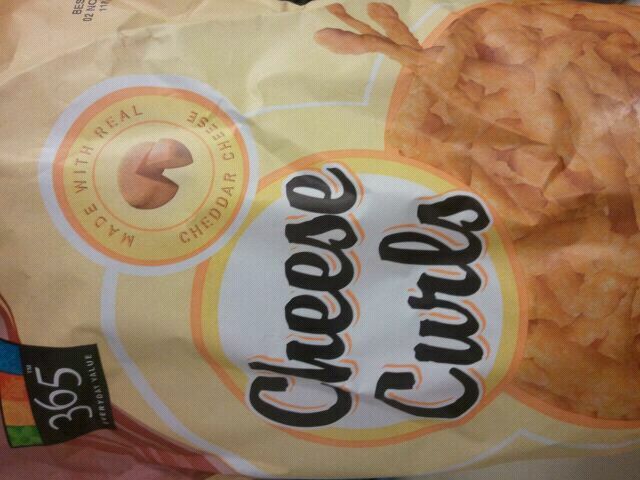 Overall a good snack, but not overpowering or too salty/too flavorful. 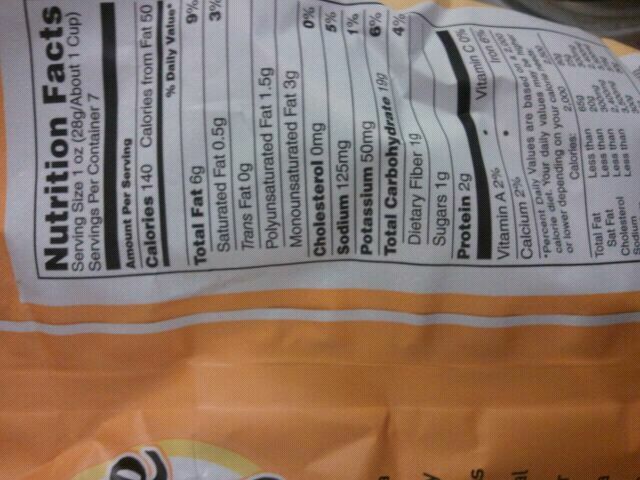 And, two servings per bag, with a good amount of pieces in the bag! 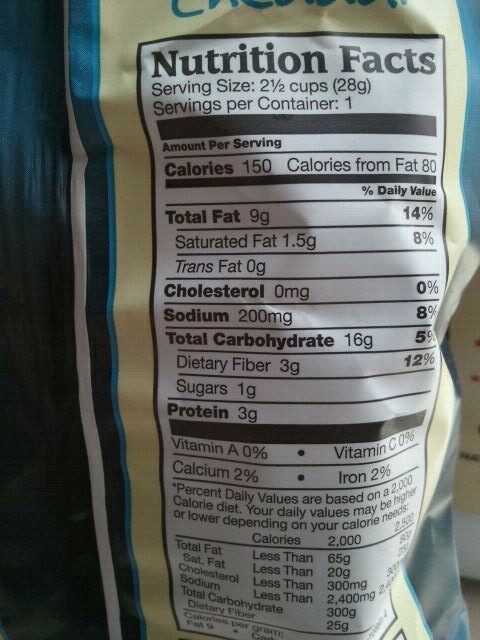 They are low in fat (3.5 grams per 1 ounce serving), but 1.5 grams of that is saturated, and there is only .5 grams of fiber per serving. So, all in all, 3 stars. 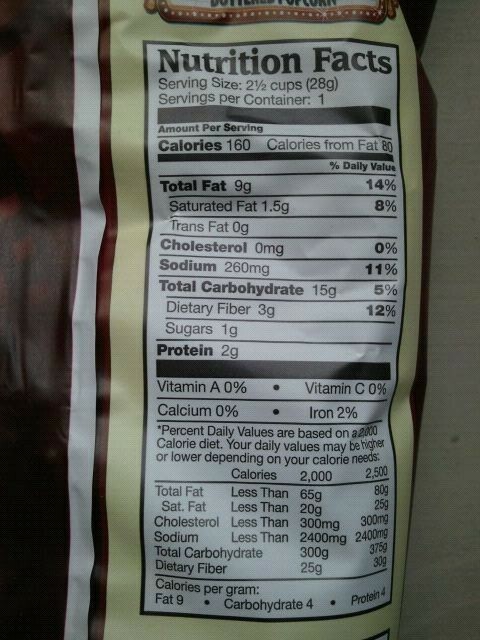 1 ounce (28 grams) is 120 calores, 3.5 grams of fat, 17 grams of carbohydrates, .5 grams of fiber, 2 grams of sugar and 4 grams of protein. I was provided these snacks to try for free from Medora Snacks. I’ve reviewed some Nonuttin’ products here before, and to add to the list will be the Chocolate Chip and Raisin bars. 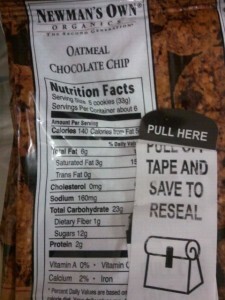 Here’s a picture I took of them below- So as you can see, pretty good with the toppings, and rather thin bars. 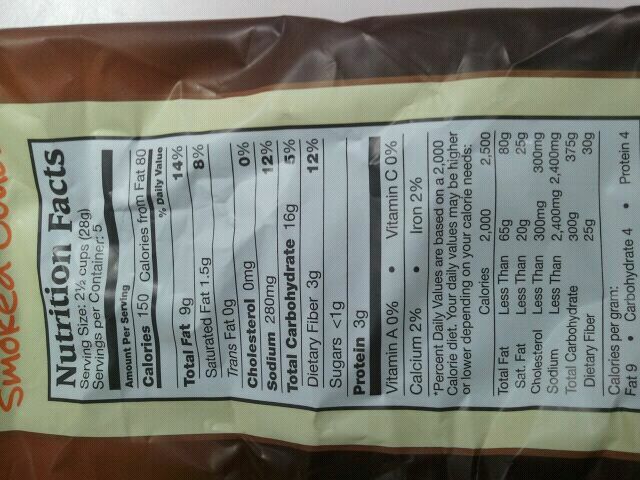 According to the packages, the bars are gluten free, Dairy Free, Egg Free, Tree Nut Free, and Peanut Free. Last time I tried one of these I remember the bar sort of fell apart as I ate it, so I hoped these bars would be better. 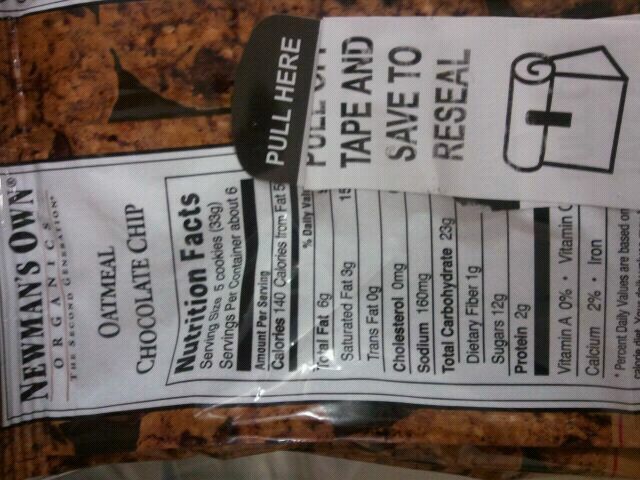 I tried the raisin first. The raisins were really tasty- chewy and sweet. This bar didn’t fall apart as I had expected and was actualyl quite delicious! 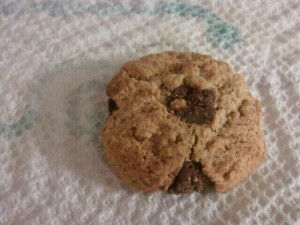 It was crunchy and chewy at the same time, and sweet with a good cinnamon flavor. It reminded me of an oatmeal raisin cookie- Yummmy!! Next up- chocolate chip. This one was also really tasty- sweet, milk chocolate flavor, that was also chewy and crunchy, but not as crunchy as the raisin, and overall really good. Delicious! Overall, very good products! Sometimes when I get a food product that caters to so many allergies like being dairy free, gluten free, etc. it often has a funny texture or sometimes has an off taste- but these were very good! I would totally eat both of these as a snack, and they are both only 120-130 calories each. Sounds good to me! 4 stars! 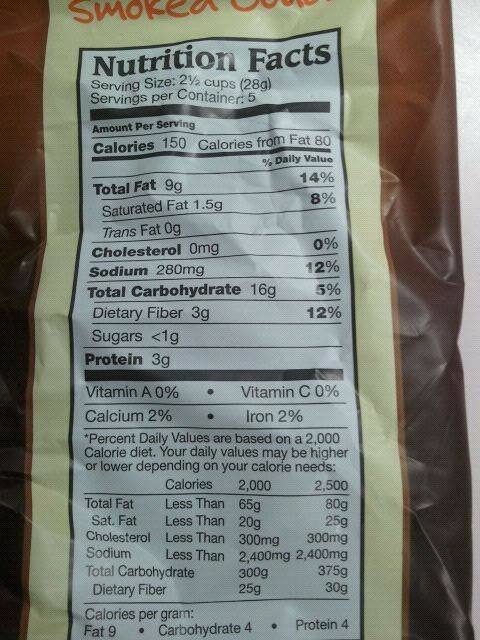 Chocolate Chip– 1 bar is 130 calories, 5 grams of fat, 19 grams of carbohydrates, 2 grams of fiber, 6 grams of sugar and 2 grams of protein. 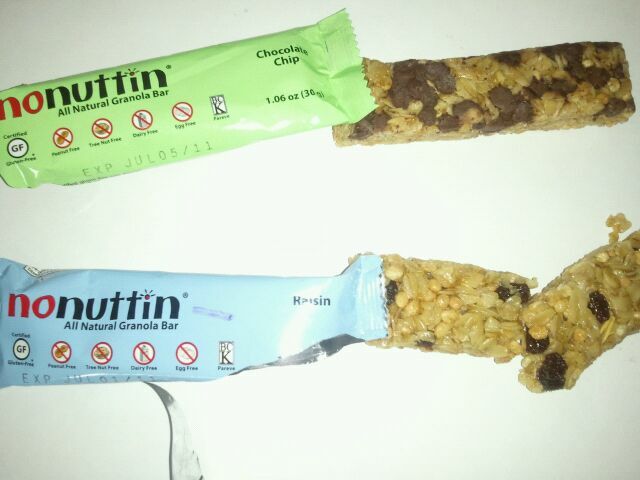 I was sent to try these bars for free from Nonuttin’. Here’s something totally new for me! 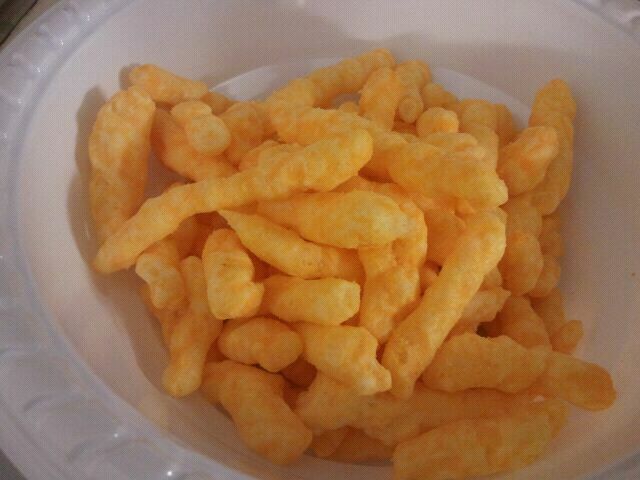 CheeCha Potato Puffs! I don’t really know exactly what a CheeCha is, but, I DO know that these potato puffs I was generously sent from CheeCha are quite tasty! 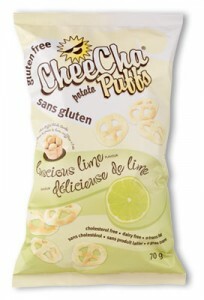 Each of these CheeCha Potato Puffs are gluten free, round in shape, and sort of look like a wheel or a peace sign to me! They are very airy, light and crispy, and provide such a satisfying crunch! 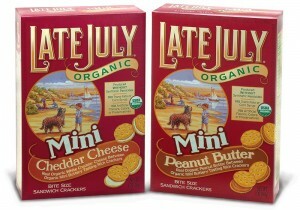 I also really like that they aren’t greasy at ALL- I love snacks that are crunchy and tasty, and not oily! 2 cups (20 grams) is 90 calories, 3 grams of fat, 15 grams of carbohydrates, 1 gram of fiber, 4 grams of sugar, and 1 gram of protein. Potato Flour, Potato Starch, Sunflower Oil, Sugar, Salt and Lime Flavor.